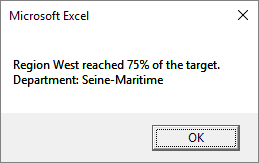 You can easily update it to show more information than this. 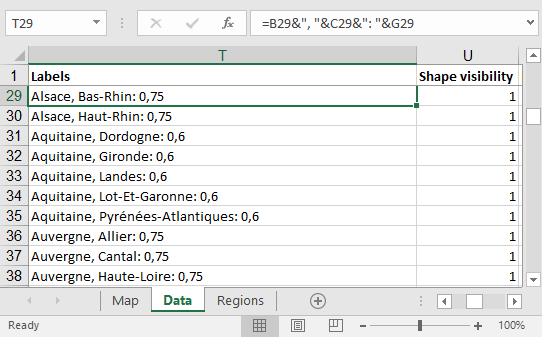 To do so check the formula in column T of the Data sheet. 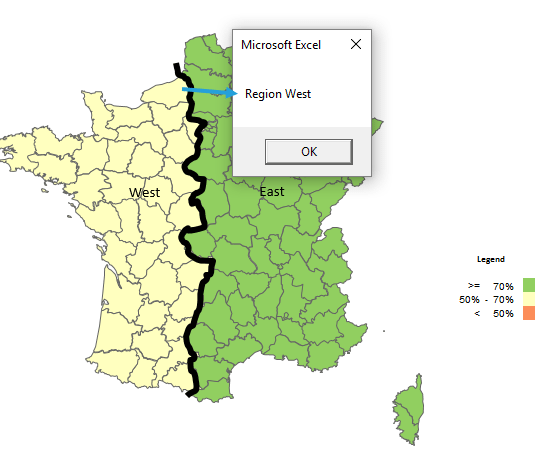 Let’s start with adding there information on region name (region has been created in column E of the Data sheet in the previous article on custom regions in Excel map) and results of the region. 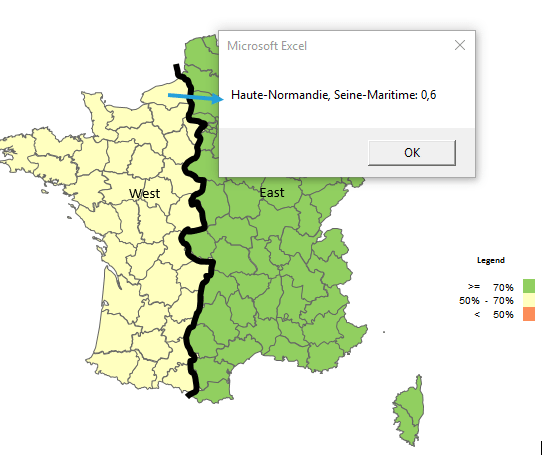 This example is based on Excel Map France so the cells addresses refer to Department level of France division.